Smartwatches was originally thought to be the next best thing since sliced bread, and the hyped increased all the more when Apple went ahead with the release of their Apple Watch. Well, there has been a fair number of smartwatches released over the past couple of years with varying degrees of performance ability, and here we are with Martian Watches making an announcement for their mVoice range of smartwatches which will certainly carve a smile on your face — with the introduction of Amazon’s Alexa service. Yes, you read that right. 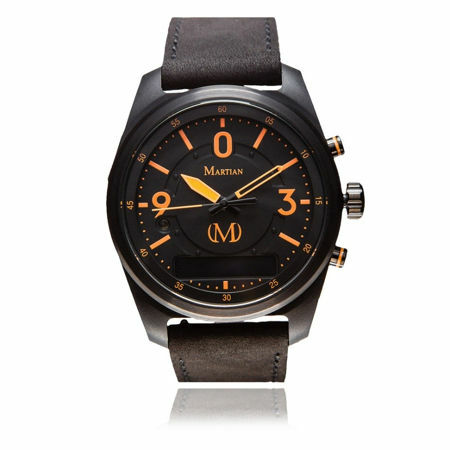 Martian Watches have just thrown in Amazon’s Alexa cloud-based voice service to their mVoice timepieces. Martian will bring together the classic design of an analog timepiece alongside the functionality of a smartwatch, which means that users do not have to sacrifice style when it comes to rich smartwatch features. In addition to that, this collaboration with Alexa would then help to improve, simplify and enhance digital communication, changing the way we go about our everyday tasks. With Martian timepieces that look elegant while working great, one will be able to control one’s home and prioritize one’s communication while being on the move using simple voice commands. You will first need to download the Martian Voice & Alerts app enabled with Amazon Alexa, before your Martian mVoice watch will play nice with Amazon Alexa. This will then open up the doors to more than 5,000 of Alexa’s skills, all without having to pick up an Amazon Echo Dot or Echo. Since Amazon Alexa is built in the cloud, it is constantly being refined, gaining intelligence along the way. The more Alexa is used, to better it adapts itself to your speech patterns, vocabulary, and preferences with new features. mVoice have been made available on MartianWatches.com since the middle of November, with prices starting from $295 a pop.